The classic 1980s baseball game Bases Loaded is coming to the PS4. And it looks like Bases Loaded! But widescreen. Via Inside, you can see in the above screenshot what the PS4 version will look like. Compare with a clip of the NES version below. 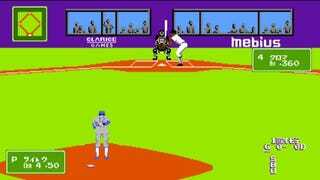 Bases Loaded was originally released in arcades, but as a kid, the NES version is what I remember most fondly. I loved Bases Loaded. I am very much looking forward to the PS4, which thankfully keeps the game’s original look, when it’s released in Japan this winter. Fingers crossed it has the same theme song.